Do you think your kids have lice? Are they itching their heads or have you gotten a message from school that lice are going around? If so, it's time to give their heads a good check. Most parents shudder at the thought that their child might have head lice. But being able to recognize lice your child's head will let you get rid of them as soon as possible. It will also help to make sure he doesn't pass them on to other kids. Head lice often cause itching, so if you see your child often scratching his head, especially the back of his head, check him for head lice. Review head lice pictures to help you understand what you are looking for in your child's hair, including live lice and nits (lice eggs). Wash your child's hair with a regular shampoo and hair conditioner and then check your child's hair after you rinse and dry it, but while it is still damp. The hair conditioner can make it easier to comb through your child's hair. If your child has a lot of hair or very long hair, it can help to part the hair and keep it separated with clips and then go through each section one at a time. Look for live lice crawling on your child's head. Although they may be anywhere, they are most commonly found at the back of your child's head, near his neck, and behind his ears. Be aware that lice move very quickly, and are only about the size of a sesame seed, so you may have to be patient to find one. Also, the average child, even with a moderate lice infestation, may have very few—about 10 or 12—live lice. Don't panic if you spot a live head louse. Your child will likely get upset if she knows that she has "bugs in her hair." Instead, stay calm and get your child's head lice treated. Nits, or lice eggs, are much easier to find than live lice. They usually are found on individual hairs close to your child's scalp. Unlike dandruff, which can look similar to nits, it should be hard to get a nit off of a hair, as they are almost glued onto the hairs. Be sure to do lice checks on everyone else in the house, especially if you find nits or live lice, and continue to check your child for live lice and new nits every few days. If you find nits more than 1 centimeter from your child's scalp, then they are likely old and can't hatch into new lice. 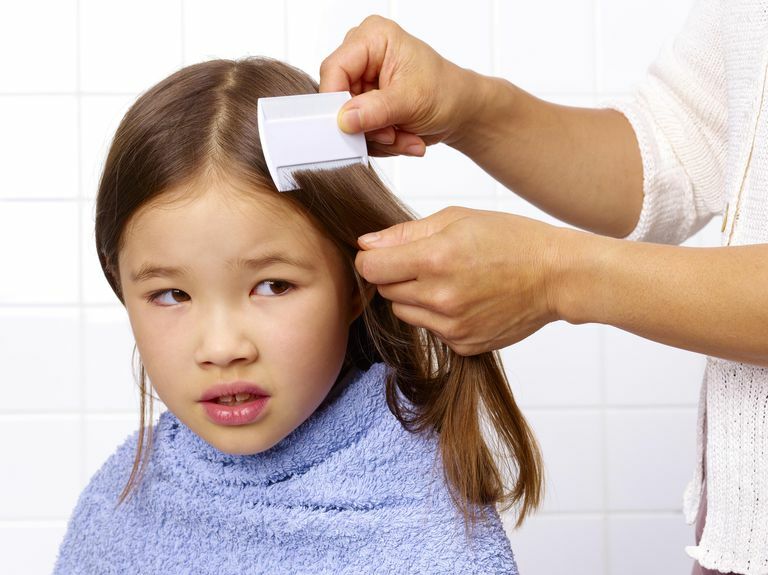 This means that your child had lice at one point, but if you don't see live lice or nits close to the scalp, then you don't have an active lice problem. See your pediatrician if you aren't sure if your child has live lice or nits, or if you think that you keep finding nits after repeated treatments. It can be very easy to confuse dandruff and hair casts with nits. Head lice can be found in every school or neighborhood. It can be distressing to find lice on your child's head, but it's best to respond to it calmly and begin treatment. Once treated, review with your child the things you can do to prevent head lice.